I'd like to know the story as to why they felt the need to edit "That's The Way" down from 2:46 to 1:43 in order to include it as the B-side to this release?! Seriously, what's the point? 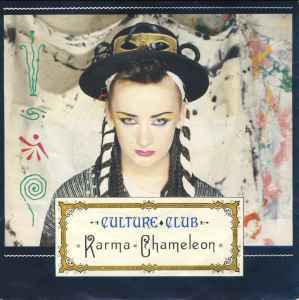 Hi, is this release not the same as http://www.discogs.com/Culture-Club-Karma-Chameleon/release/4080601?? Title b1 Should be corrected to 'mind'. why is this a promo and any different than the other spanish 7" ? whats the difference between this and the other german 12" ??? Hi, it looks like the regular uk 12" but without picture sleeve, why make a new addition? this version has already been in the list. why add another one that is exactly the same? ?